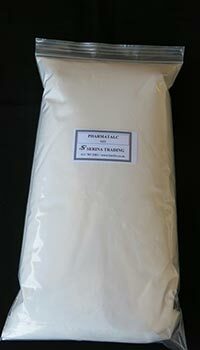 PHARMATALC is a pharmaceutical grade of talc, a white powder with absorptive properties often used in pharmaceuticals and cosmetics. The common name is talcum powder and the chemical description is magnesium silicate. Refer to our technical specifications. Find out more about talc.